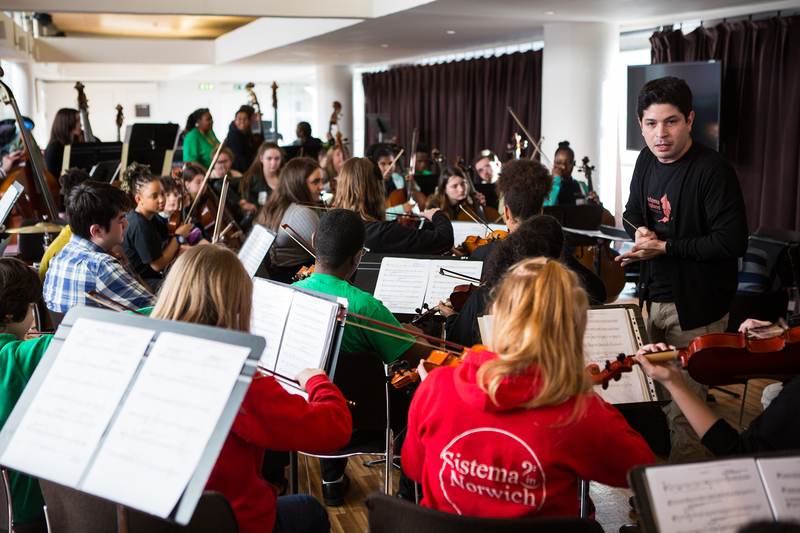 The 46 members of the Sistema England Young Leaders Orchestra gathered on 16 January at the Southbank Centre, for a day of discussion, rehearsal and performance in celebration of the residency of Gustavo Dudamel and the Simón Bolívar Symphony Orchestra of Venezuela. 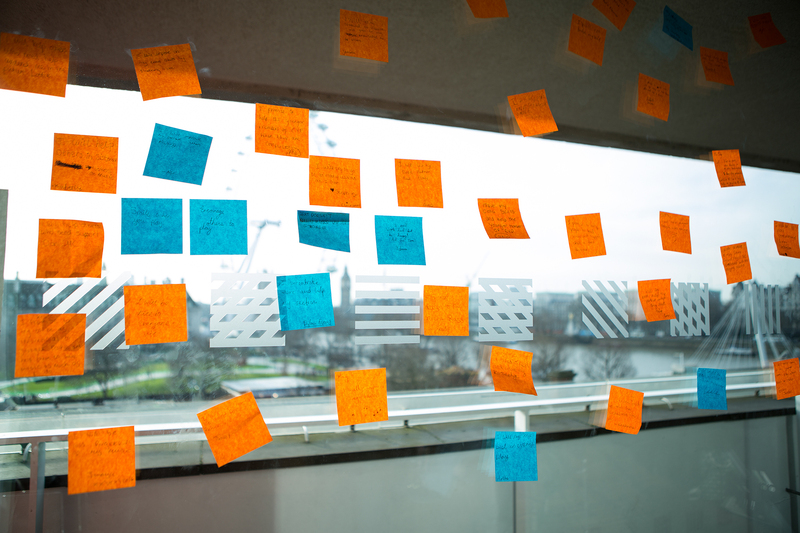 See below a selection of photos of the day, taken for Sistema England by Alistair Veryard. 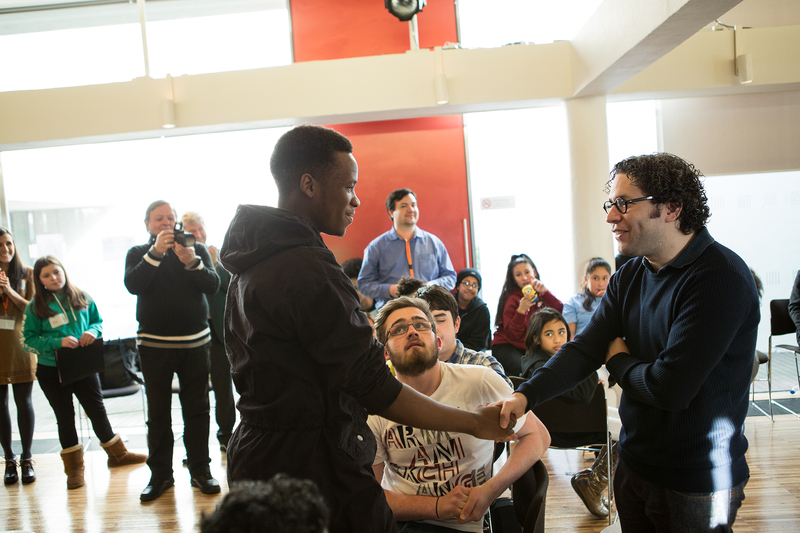 The Young Leaders Orchestra, composed of musicians aged 10 to 17 from In Harmony Lambeth, In Harmony Liverpool, Sistema in Norwich and The Nucleo Project, met conductor Gustavo Dudamel at the Southbank Centre. 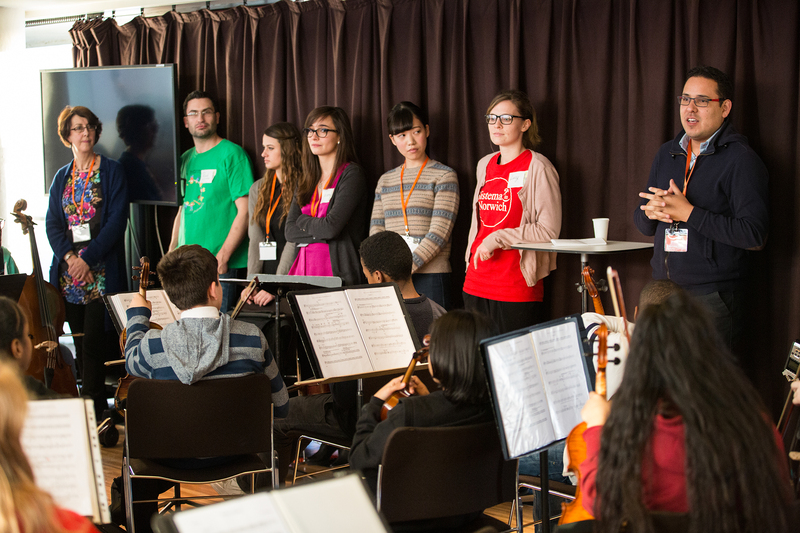 Sistema England Trustee Marshall Marcus facilitates a discussion on leadership and how a new orchestra can forge its own identity. Marcus is CEO of the European Union Youth Orchestra and president of Sistema Europe. 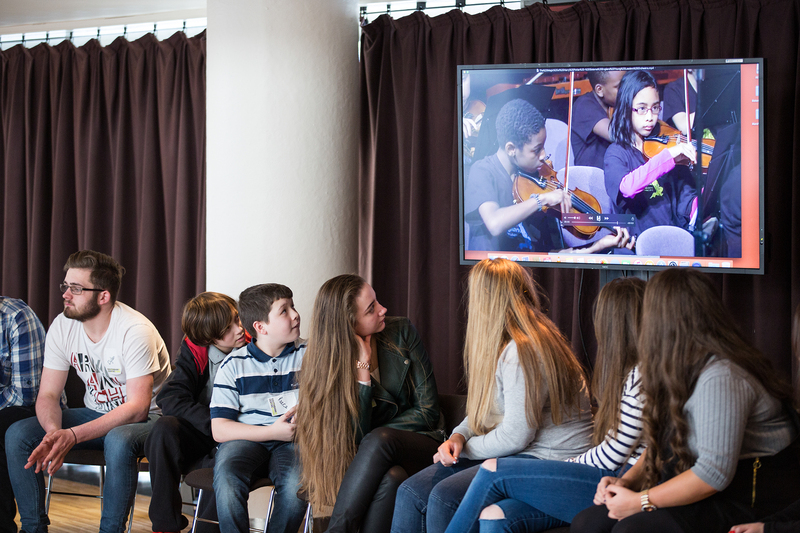 The Young Leaders analyse footage from their last performance together in October 2015, to reflect on strengths and areas for development. 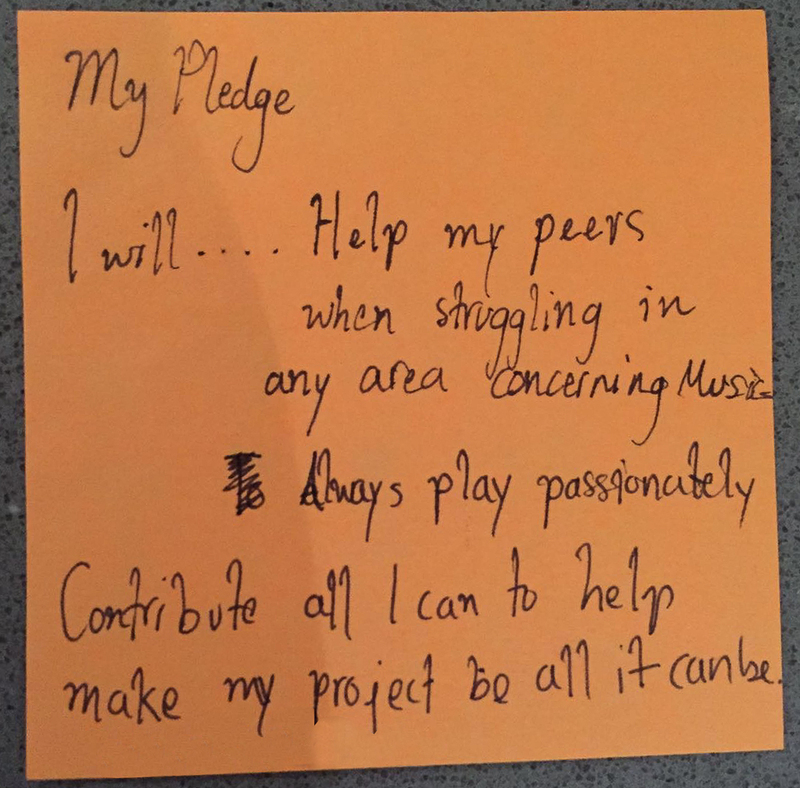 The musicians make pledges to exercise leadership back on their home programmes. 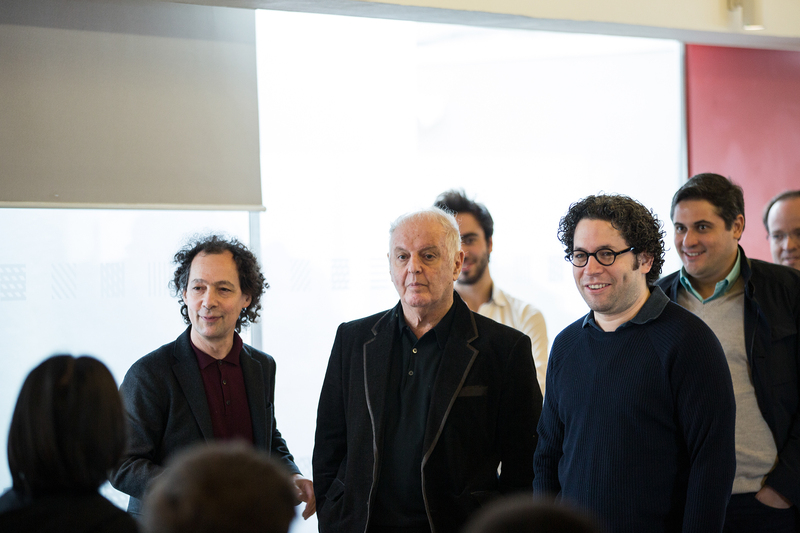 The Young Leaders are surprised by a visit from world-renowned conductors Daniel Barenboim and Gustavo Dudamel, on their break from rehearsal. 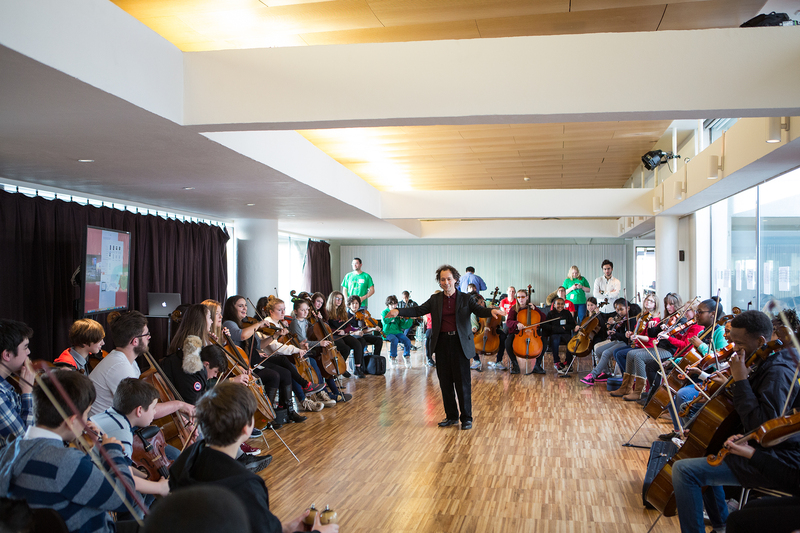 The Young Leaders dive into an intensive workshop with conductor Félix Briceño, from Venezuela’s El Sistema, and Venezuelan violinist Juan Carlos Maggiorani, Artistic Director of Orquestra Geração, a Sistema programme in Portugal. After just 2 hours, and with 11 new players, the orchestra achieves a depth of sound, vigour and focus that marks a development in the ensemble’s short journey so far. 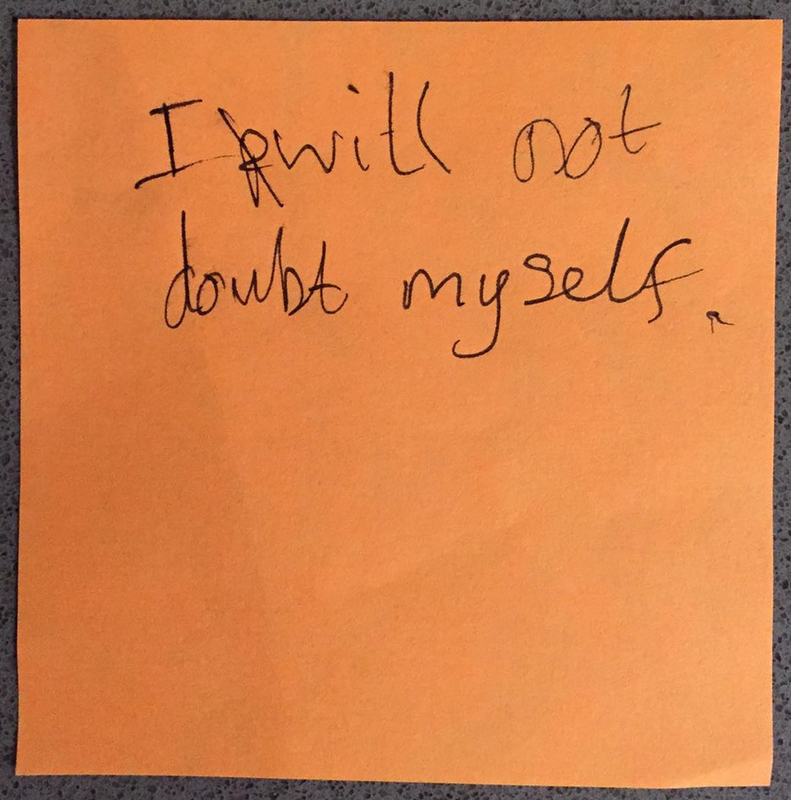 A dedicated team of teachers, programme managers and volunteers support the ensemble all day. The orchestra performs The Magic of Harry Potter (John Williams arr. 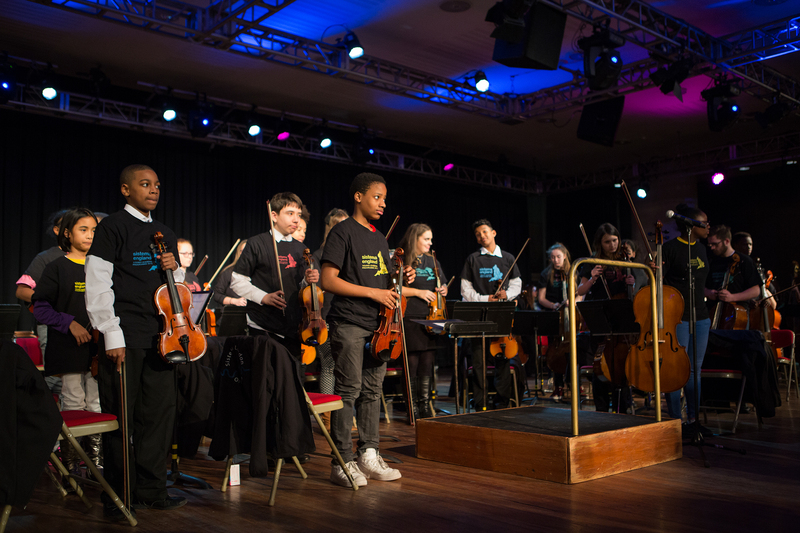 Michael Story) and Ritmos Ciganos to an appreciative audience on the Clore Ballroom, in the company of ensembles from In Harmony Lambeth, The Nucleo Project, and the new Sistema London Orchestra. 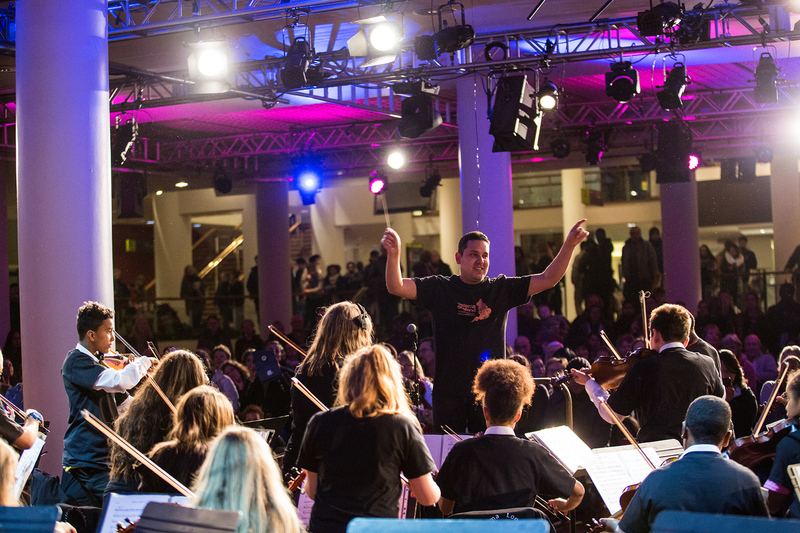 Empower young people through music by helping them build the Sistema England Young Leaders Orchestra. 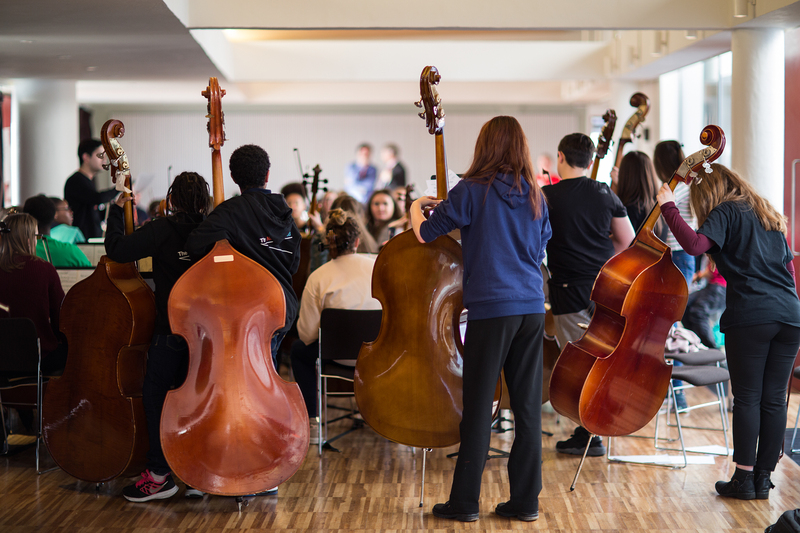 The Young Leaders are ready for their Summer 2016 residency – a week of intensive music-making, life skills development and performances with some of the finest musicians and teachers in the UK and abroad. 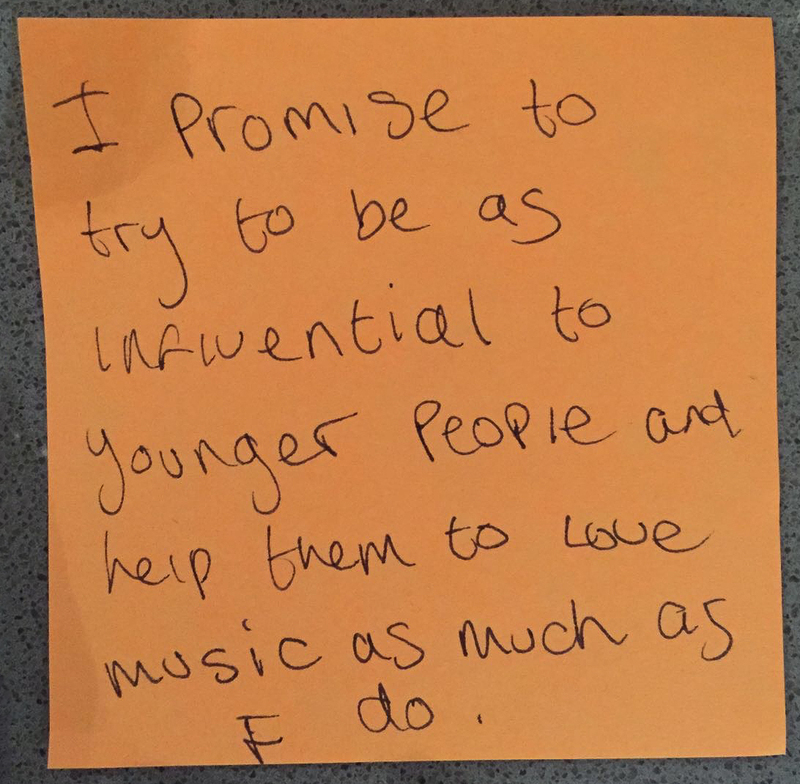 Please help our Young Leaders continue to build their Orchestra. 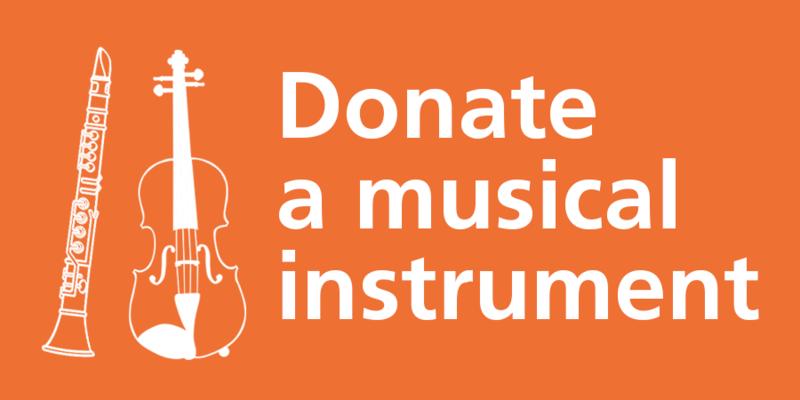 Donate to Sistema England here.